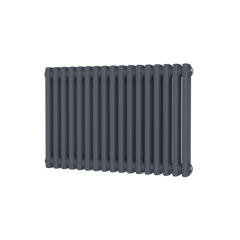 The DQ Cove Stainless Steel Horizontal Designer Radiator, offers the same excellent smooth and sleek design as the mild steel original, but in a superior material. Available in a single or double panel. Made from stainless steel, the DQ Cove would be perfect in any room. 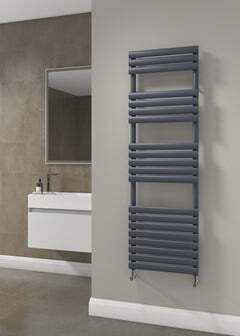 This radiator is a beautiful, warm addition to any home. And an added bonus with the Cove you can also get a Vertical Radiator, a Towel Radiator, and a Mirrored Radiator all in the same lovely rounded bar style. 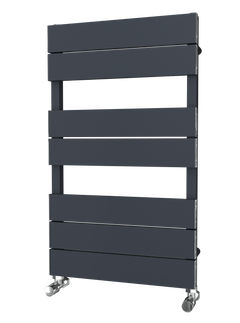 The DQ Cove Stainless Steel Vertical Designer Radiator, offers the same excellent smooth and sleek design as the mild steel original, but in a superior material. Available in a single or double. Crafted from stainless steel, the DQ Cove would be perfect in any room. 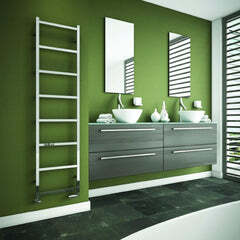 The Carisa Quadro Aluminium Radiator has an amazing mirrored front, making this an essential part of your room design. Functional and practical. Carisa Quadro would be fantastic in any room, especially places such as Hallways, Living Rooms and Bedrooms. This would be fantastic for getting ready in front of, will provide warmth and a brilliant full length mirror. The Quadro is available in beautiful Textured White. The Carisa Ibiza would look brilliant in any kitchen or bathroom.